Fully insured and licensed. 24/7 Car Patrol, Bodyguard, Armed and Unarmed Security Guard Services. Securelion Security Services is the best security guard company in the Bay Area, Fresno, Los Angeles, Orange County, and San Diego. 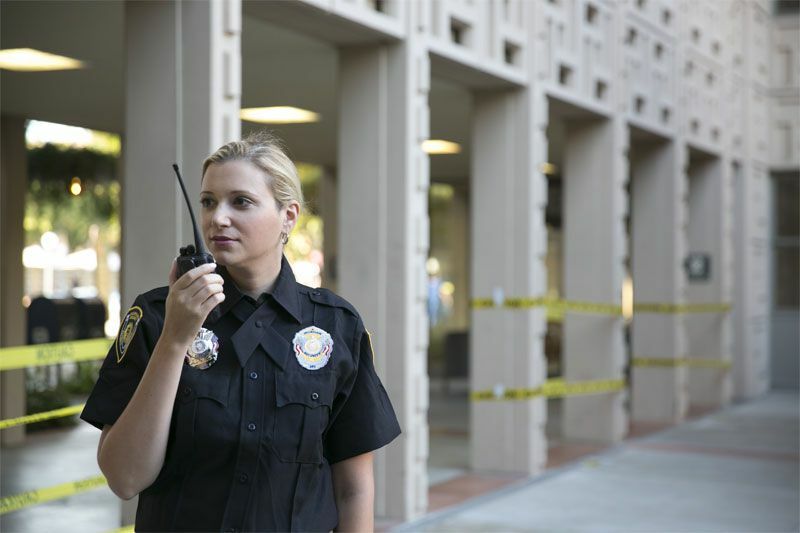 Our security guard services are the best in California because we only hire the best. Our security officers prevent damage due to break-ins, thefts, arson, vandalism, workplace violence, and other crimes. We are the premier security guard company in California. Our client’s safety and satisfaction is always our number one priority. Our security officers responsibility is the response to unavoidable incidents and the reduction of incidents. We’re the best security guard company because we asses each of our clients needs individually, creating a security plan to address each of their unique needs. We go further and more in-depth than other security companies. Whether you’re looking for an armed security guard, an unarmed security guard, or mobile patrol, Securelion Security will be able to meet your unique needs. Securelion Security service is the best security guard company because we go above and beyond in the service of our clients. Our officers and expert security teams go to extraordinary measures to ensure that our clients have a safe and secure environment to work within. At Securelion Security Services our entire team attentively protects and serves our employees and their assets. Our absolute highest priority is the safety and satisfaction of our clients. We do a detailed assessment of our client’s unique security needs and match skilled and talented officers to accommodate our client’s individual needs. Our experienced management and every single security officer goes to great means to ensure the safety and satisfaction of our clients. Your safety and satisfaction is our business! With over 40 years of combined management and field experience and a successful track history all over California, we provide a wide variety of security protection services and meet your security guard protection services at very competitive rates. Our Security Guards are professionally trained with State authorized firearms and essential training to make your decision prompt and hassle-free. Securelion Security services carries an insurance policy that pays up to $1 Million (3,000,000.00) per occurrence in which it covers property damage, bodily injury, etc. Our Insurance carrier will provide you with a certificate of insurance designating you as the individual insured. Our highest priority is to satisfy our clients. Our security officer's prevent damage due to break-in, thefts, arson, vandalism, workplace violence and other crimes round the clock. Securelion Security Guard Company is here to provide you highly trained, licensed and authorized personnel for your business, community and schools. Keeping the loss of life and damage to minimum, you can count on us for your well-being and safety. Most people are under the impression that they or their quality assets are not at enough risk to consider security measures. The unfortunate reality is that security has become a necessity in the modern era. All you need to do is turn on the evening news to see that violence in the workplace and in public is increasing. It’s paramount that companies and important individuals increase their security. We here at Securelion want nothing more than to provide safety and security to our clients. We can do this in a variety of different ways all over the state, from the Bay Area to the Greater Los Angeles Area. Our security guard agency is always ready to help your business flourish. Securelion Security Services offers a wide range of services as well as customized and scalable security strategies to best meet your unique and individual needs. Our expert management will examine your needs carefully to ensure that the best strategy for you is developed and implemented. Our plans allow for even the smallest business to protect their assets with an affordable and competitively priced solution. We believe no person, place, or thing should feel unsafe or be a cause for concern. Our professionally trained and expert security officers let you rest easy, knowing there’s a watchful eye protecting your employees or valued resources. Explore a wide variety of customizable packages and get started protecting what matters most to you. With Securelion Security Services you know you’re in the best hands. Securelion is a top rated security guard company, Bay Area, and we supply top rated security guard services, Los Angeles. Regardless of the service you need or where in the Bay area or greater Los Angeles Securelion Security is there to guard what matters most. Our Promise to you is to share our strength, provide you with professional and reliable security services, and have integrity with everything we do. We can meet all your security guard and patrol service needs in Northern and Southern California. We are the best security guard company in California. Full service professional security tailored to your needs & budget! DO YOU BACKGROUND CHECK YOUR SECURITY GUARDS? Yes. We check for felony and misdemeanor convictions and/or arrest. (This is often required for local licensing, depending on the area.) If an applicant or (we find that) an employee has a felony conviction they will be denied employment with Securelion Security. Before hiring, we also check prior employers and require character references for employment. We then proceed to conduct our own 2nd investigation. WHAT TYPE OF TRAINING DO THE GUARDS HAVE? Some states, such as California, require 40 annual hours of formal training. Security companies must provide this training or they will be in violation of regulations. When this does not apply, we try and provide 40 hours, though with mostly on the job training if possible. With firearms, we prefer the guards have state certified NRA range masters to qualify for a CCW (Concealed Carry Weapons) and additional education from our managers as well. We offer other training that assists our client’s needs, like O.S.H.A, first aid/CPR, customer service, and more. CAN YOUR GUARDS PREVENT VIOLENT SUSPECTS FROM HARMING OTHER OR VIOLATING LAWS? Yes, if our client requires the guard(s) to prevent a witnessed criminal suspect from harming another then we assign a trained and experienced guard with the ability to use physical force if required. Some security companies don’t offer this and the guards will only “Observe and Report” the incident, using verbal commands while waiting for emergency services to arrive. We’re happy to consult with you about your preference. This distinction is important when considering a security company. DOES YOUR SECURITY COMPANY HAVE INSURANCE? Securelion Security carries an insurance policy that pays up to $1.5 Million ($3,000,000) per occurrence. The coverage includes coverage for property damage, bodily injury, etc. Upon gaining your trust of Award on the contract, Our Insurance carrier will provide you with a certificate of insurance designating you as an additional insured. WHAT IF A GUARD IS NOT PERFORMING AS EXPECTED? In our contract, we offer a performance clause. This offers to replace the security guard as soon as is practical at no additional expense to the client. Always check for this in any contracts, with Securelion Security or any other Security Service. SECURELION SECURITY SERVICES understands that in today’s economy, everyone is working on a tight budget. It is our goal to supply the client with the best service at the lowest rates. We understand that your property and/or persons are important to you. We give the quality you seek.